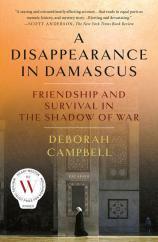 The story begins in 2007, when Deborah Campbell travels undercover to Damascus to report on the exodus of Iraqis into Syria, following the overthrow of Saddam Hussein. There she meets and hires Ahlam, a refugee working as a “fixer” --- providing Western media with trustworthy information and contacts to help get the news out. Ahlam has fled her home in Iraq after being kidnapped while running a humanitarian center. She supports her husband and two children while working to set up a makeshift school for displaced girls. Strong and charismatic, she has become an unofficial leader of the refugee community. Campbell is inspired by Ahlam’s determination to create something good amid so much suffering, and the two women become close friends. 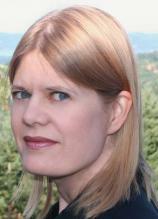 But one morning, Ahlam is seized from her home in front of Campbell’s eyes. Haunted by the prospect that their work together has led to her friend’s arrest, Campbell spends the months that follow desperately trying to find Ahlam --- all the while fearing she could be next.